Imagine having a crown completed in a single visit with no messy impressions, no sending to a lab and waiting two weeks with a temporary crown? Thanks to the exceptional precision of CEREC 3D technology we can create beautiful computer generated porcelain restorations that are durable and practically invisible all in a single visit. CEREC is short for Chairside Economical Restoration of Esthetic Ceramics or CEramic REConstruction. It is a method of CAD/CAM dentistry. 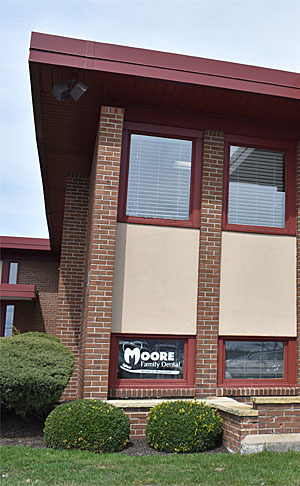 Moore Family Dental is proud to have the latest CEREC equipment in our Amherst dental office. This technology allows us to provide our patients with inlays, onlays, crowns and veneers in only one appointment. Contact us today to learn how this technology can deliver amazing dental results while saving you time.